Midlands State University’s Media and Society Studies Department in conjunction with the Mobile Community of Zimbabwe recently held a workshop meant to equip media students with skills to collect news from local communities using mobile phones. The workshop was held from the 6th to the 10th of June at Midlands State University. Mobile Community of Zimbabwe (MCZ), is a school of citizen journalism that focuses on equipping young Zimbabweans with the necessary skills and technology to document and share innovative community stories. Engagement between the Media and Society Studies department and the Mobile Community of Zimbabwe started in 2014 when the two parties signed a Memorandum of Understanding. Since then, students from Midlands State University have benefitted from the initiative with Ketie Nyoni having won an award for outstanding workmanship. Thirteen students attended the latest edition of the MCZ training workshop whose main thrust was to train the incoming group on the use of new mobile editing software like Viva Video to replace Story Maker. 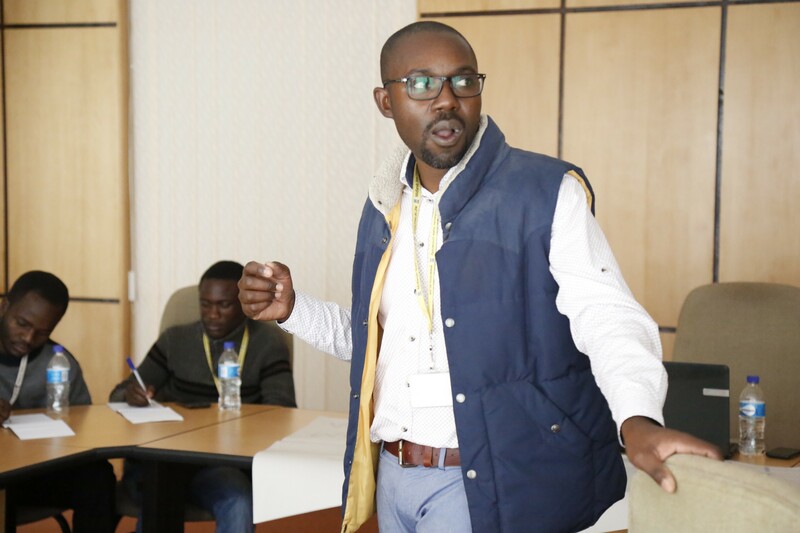 Workshop facilitator, Privilege Musvanhiri, said that MCZ aims at creating learning and sharing environments and urged Zimbabweans to embrace the use of social media tools in the collection and dissemination of news. “MCZ’s school is a response to create learning and sharing platforms that professionalize Zimbabweans’ use of new media tools and technologies. This also creates space for the reportage of pertinent community issues often ignored by the mainstream media,” stated Musvanhiri. As a way of motivating students, MCZ rewards students who would have made the best video, audio and picture story as well as an award for the outstanding institution. “Prizes for this year are yet to be set save to say the overall price for 2015 was $800 and was won by an MSU Student Ketie Nyoni,” noted Musvanhiri. One of the students who attended the workshop, Chengeto Jani a level 4.2 student had nothing but praise for the knowledge gained. “I want to thank the Media and Society Studies department for collaborating with MCZ. The knowledge we have gained here has surely transformed our approach towards social media. At the end of the day we aim to raise the flag of MSU high after we win the accolade at both individual and institutional level,” said Chengeto. Midlands State University will be squaring off against their counterparts from Harare Polytechnic, Great Zimbabwe, the National Science and Technology and the University of Zimbabwe. In the picture, workshop facilitator, Privilege Musvanhiri addresses participants.